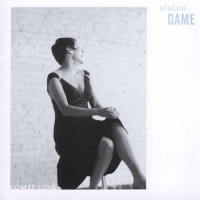 Elaine Dame, jazz vocalist, band leader, recording artist and private vocal jazz instructor, is a Vocal dynamo...[and] continues to be a gem in the city's vocal jazz scene according to Time Out Chicago. Since 1997, Dame has headlined the finest venues in Chicago, the Midwest and the nation, collaborating with some of the finest jazz instrumentalists. She has enjoyed residencies at such notable music rooms as the Rainbow Room, Michael Feinstein's 54 Below and the Metropolitan Room in New York City - and in Chicago, Elaine headlined the 2015 Chicago Jazz Festival and appears regularly at Winter's Jazz Club and The Jazz Showcase, to name but a few. Comes Love, Ms. Dame's debut recording on the blujazz record label, was released to wide critical acclaim and international radio play. Her joy in the act of singing is obvious throughout the entirety of 'Comes Love.' Dame combines a freshness of approach with an unaffected fondness for the music she sings. The result is a clear-eyed approach to her material that remains accessible to a broad cross section of listeners, potentially enlarging the audience for jazz, says Jazz Improv Magazine. For the past ten years, in addition to her consistent work as a jazz singer, Ms. Dame has been a private jazz vocal instructor and was honored to have been a 2013 teaching artist at Orbert Davis’ Chicago Jazz Philharmonic Summer Jazz Academy, where she taught scatting workshops. JAZZ SINGING LESSONS Elaine Dame, professional jazz vocalist and recording artist with fifteen years experience in the industry, is now accepting vocal jazz students in Chicago and the surrounding area. Learn correct breathing and posture, increase your range, endurance and control and learn the fundamentals of theory, phrasing, scatting and interpretation, with an emphasis on individuality, creativity and fun! My vocal instruction rates are extremely reasonable. FROM MY FIRST STUDENT "Thank you very much for having wonderful lessons. You gave me courage, joy and freedom for singing. I was relaxed when I sang in front of you which was very unusual and I really liked my voice!! I can't thank you enough...." -Ryoko Chimomochi, a young Japanese woman who visited the States for several months. All About Jazz musician pages are maintained by musicians, publicists and trusted members like you. Interested? Tell us why you would like to improve the Elaine Dame musician page.